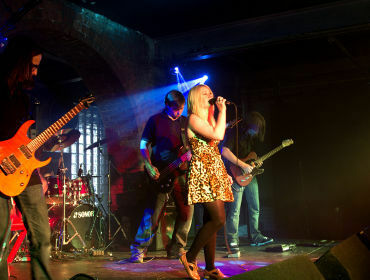 This summer, WICID.tv has been host to its FIRST ever Battle of the Bands. If you haven’t heard anything about this, or you want to know about the up-and-coming final, you really need to read on. The competition brought together bands from all over Rhondda Cynon Taff, (and even had an entry from Pembrokeshire) to take to the stage of The Factory, Porth under the cover of smoke machines and in the glare of a full lighting set, all they needed to do was give the sound system something to shout about. The semi-finals took place over three rounds where each of the 10 bands performed an original song while being filmed by the talented WICID.tv team, and were then invited to the sofa for an interview to give an insight and background to their music and its influences. The time has come and the voting is live. Only the 6 bands with the most votes on the WICID.tv poll will make it to perform a 2 – 3 set at the Factory in front of a live audience and a panel of judges. 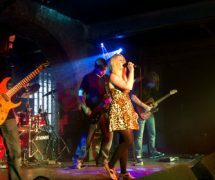 The winners will be interviewed and featured in Plugged in Magazine, have a music video recorded and re-mastered, and will automatically be entered into the Clic Battle of the Bands 2013. The final is a free event @ The Factory, Porth. Doors open at 7.00pm and all ages are welcome, come show your support to some true musical talent. You really don’t know what you’re going to miss if you don’t, the Winner of WICID.tv’s Battle of the Bands 2012 could go on to be the chart-topping, record selling artists of the future. If you would like to be on our Wicid Guest List, pop a comment below! MTV: The Valleys. We Want Your Stories!